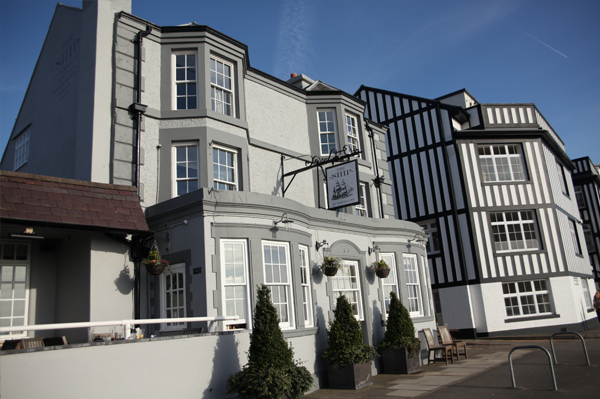 The Ship’ is as much the local’s local as it is the visitor’s retreat, offering the perfect afternoon stop, evening out or weekend escape. Our bar has an array of great local ales, quality wines and soft drinks. We also stock the usual and sometimes not so usual selection of whiskies, gins, rums and other tipples. Our hearty homemade menu is bursting with well known British classics as well as some of our own creative seasonal specials. Our team of chefs use all fresh and where possible local produce to ensure quality and freshness in every dish, and hopefully give you a flavour of the local area. Do go here often but Sunday was a disappointment - my plate was cold so consequently my food was cold before I was half way through my meal so the gravy left a residue of fat on my lips - I LOVE MY PLATES HOT MAMA!!! Then we were sat in the corner by the fireplace, with only a wall to look at - NOBODY PUTS BABY IN THE CORNER, D'YA HEAR. Probably will return because it has been a favourite venue of mine for quite some time - HOT PLATES AND NO CORNERS PLEASE!! Lovely place and excellent evening meal and breakfast. Would highly recommend. Lovely table in the window. Food and service were excellent. Would highly recommend the fish pie. We will definitely come again. Quality of service, food and drink, atmosphere consistently excellent whether dining at lunch time or evening. Would highly recommend the ship pub, the food was amazing and the staff were brilliant. Service was slow. The waiters and waitresses were very attentive but we had to wait a significant period (over half an hour) for our mains. We weren't in a hurry, fortunately, and otherwise it was very pleasant. We will be back. Breakfast fine but feel you are using cheap weak teabags.we had a roast dinner on Sunday evening and I think roast potatoes had been reheated. Other veg were excellent, nice and al dente. We were a bit cold in the bar room, round the corner by the unlit wood burner. Generally we had a lovely weekend and staff excellent. Amazing food, fast, friendly service and a lovely place. Lovely staff, very friendly. Food was very good, fortunately we had booked a table which was ready for us when we arrived. Noted that there was quite a few people waiting for free tables so would advise that you book. Chose a bottle of Sauvignon Blanc , think it was the South African one, it was very good and priced around £20 a bottle. Would recommend a visit here  and will return. Gorgeous Sunday roast and fantastic fish and chips. Very slow in providing us with the bill and again for taking payment which is a common ocurrence in my experience. Everything else was excellent! We were very pleased with the service, food and the decor. Very relaxing. The Timothy Taylor ale was particularly enjoyable. A great place to have a meal. Good food, good atmosphere and lovely location. Service as usual way above average and the food is always fresh, extremely tasty and well presented. Nothing is too much trouble, highly recommended. 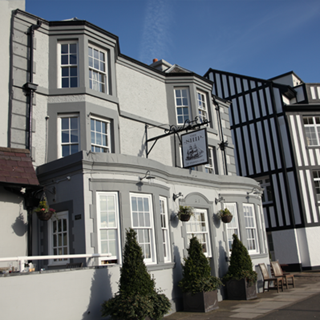 The Ship is the best pub in Parkgate we have been comeing to it for years, see you soon.